Jimmy's Egg is scheduled to open July 31 at Wolflin Village. Jimmy’s Egg will rise to shine in Amarillo on July 31. 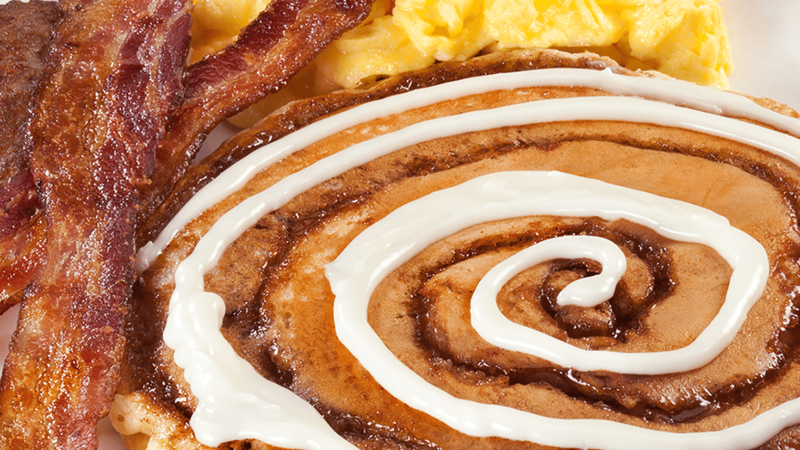 The franchise is set to open at 6 a.m. with breakfast fixin's ready to go. The nearly 4,000-square-foot eatery has been under construction at 2225 S. Georgia St. in Wolflin Village will seat more than 100 customers. The Amarillo store is a 4,000-square-foot space that will seat slightly more than 100 customers. There’s an open kitchen, do diners can see all the cooking action. Jimmy’s Egg Franchise Group, JE Wolflin Village LLC, will use its Facebook page to keep potential customers up to date on the grand opening. Breakfast menu offerings range from a popular “Garbage Breakfast” and hash brown skillets to Belgian Waffles and cinnamon roll pancakes. At lunch, the restaurant serves a variety of sandwiches burgers and salads. Jimmy’s Egg is an Oklahoma City-based chain founded in 1980 and has grown to 57 units today. The Amarillo restaurant is among 12 set to open in a 12-month period.